Not as a hen gathers her chicks – For the fainthearted . . .
Their arrival in the airport could not have been missed; laughter, calls, shouts across the security area. “Please don’t let them be in my flight.” Of course, they were though, the only other flights left on the board were for Belfast and Gdansk, the chances of a Liverpool hen party heading for either destination were slim. The flight was called and a queue formed, the party were concerned that their boarding cards showed them to be in different parts of the cabin. A member of the ground staff said he would see what he could do. Boarding began and the party headed toward the rear door of the aircraft. Sitting at a window seat, everyone seemed aboard, and the middle and aisle seats remained empty. “Hiya”, said a voice. “We’re sitting with you”. Two young women carrying heavy bags sat down. “We’re a hen party”, smiled the older one. I smiled and said that I had thought so, the pink sashes they wore saying “hen party” did give them away. The forty minutes or so of conversation that followed were interesting. They had taken Friday off in order to have three nights in Dublin and had each spent £400 Sterling to buy €500 as spending money for the weekend. Even with Dublin prices, it was hard to imagine how someone might spend that much, but I had never been much of one for night clubs. 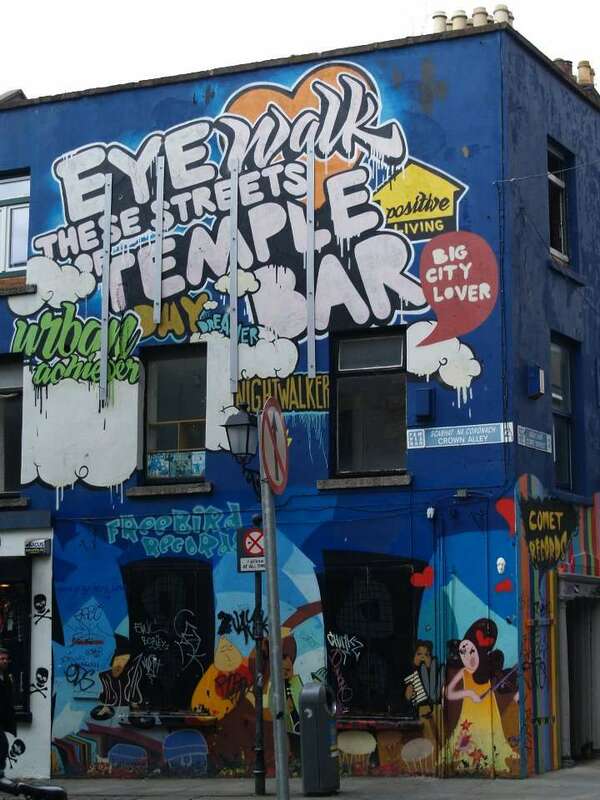 They asked for suggestions of what they might do other than go to Temple Bar and what places they might visit other than those visited by every other tourist. They were rugby league fans, but thought that a rugby union match at Lansdowne Road probably wouldn’t appeal to them; even if there were 50,000 people there. They liked the idea of going to the seaside and walking the prom, and eating fish and chips, and having a pint at a pub and thought they would enjoy a trip to Bray. After suggesting the rugby and the seaside, I ran out of ideas. 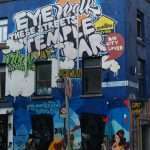 A twenty-something in a hen party was someone whose world was so different that I couldn’t imagine what might appeal. The refreshments trolley came through the cabin and I bought a bottle of orange. The women asked for two plastic cups and took bottles of Coke from their handbags. “Drink some of that orange and I will top up the bottle”, said the younger one. She had taken a litre bottle of vodka from her bag. “Thanks, but I’m driving”, I lied. “I have, but I don’t feel I have”. Slight turbulence approaching Dublin Airport over the sea is not uncommon and the women became anxious we should be on the runway as quickly. One of their companions at the rear of the cabin became sick; whether from drink or turbulence was unclear. In the Bible, the idea of a hen gathering her chicks is used as a picture of safety and security, of listening and protection. People’s ideas of a hen must have changed a lot since Bible times.